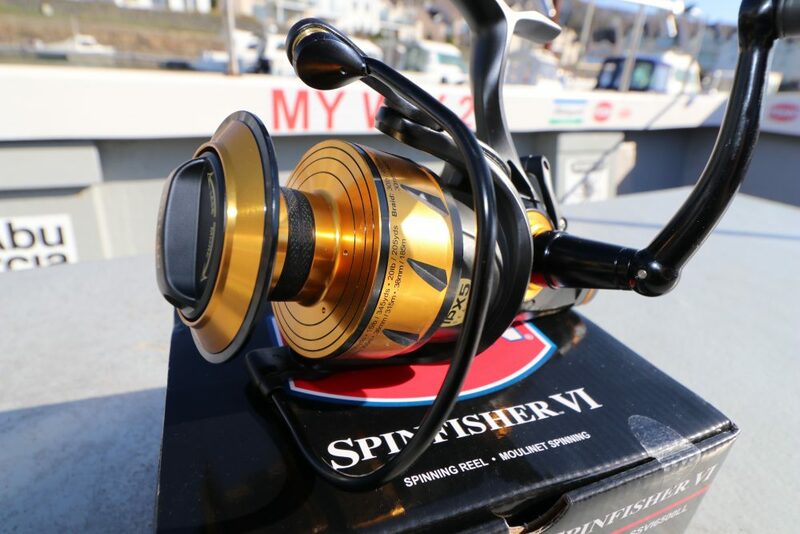 The PENN Spinfisher reels have been a popular choice for anglers for many decades and recently newest incarnation, VI arrived in tackle shops across the globe. 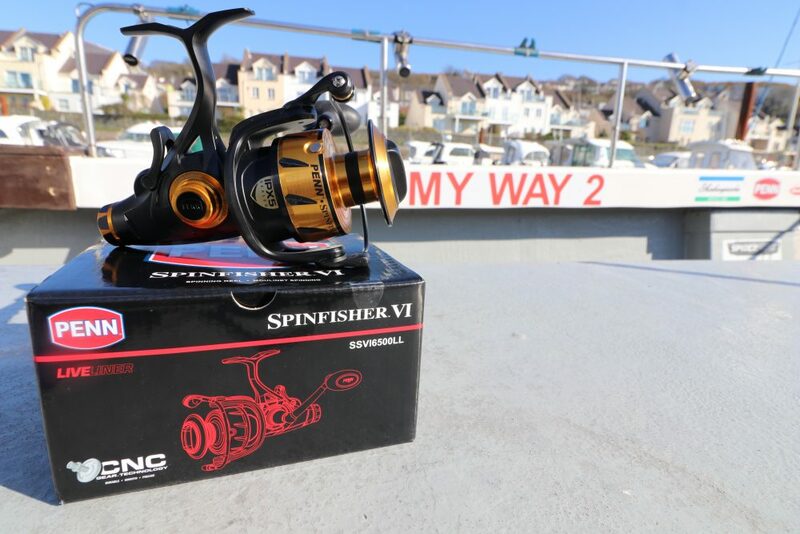 We have been using the PENN Spinfisher SSV5500 aboard My Way for a number of years, they have accounted for numerous fish either on the drifting for pollack, wrasse etc or at anchor for a myriad of species varying from small fish to hard fighting inshore sharks. 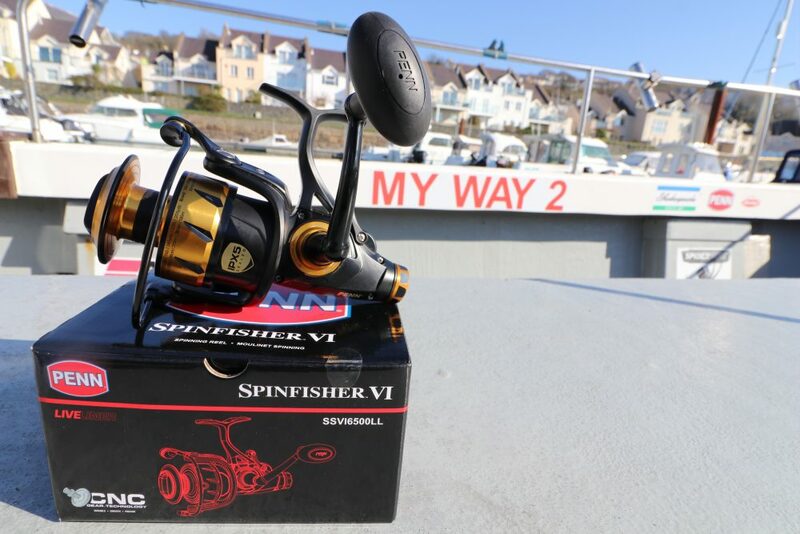 Having used and enjoyed the PENN Spinfisher SSV6500LL personally for a long while, we now have brand new PENN Spinfisher SSVI6500LL reels available for our anglers to use and be impressed before purchase. The Live Liner function will work superbly when targeting the big hounds and tope associated with our patch of sea. The PENN Spinfisher VI features IPX5 sealing so whether it gets hit with a wave, or you let it ride in the spray all the way home, you don’t have to worry about saltwater getting into the gearbox or drag system. Our HT-100 drag washers are housed in a fully sealed spool to give the stopping power needed for big saltwater fish. A Full Metal Body and sideplate keep the CNC Gear System in precise alignment under heavy loads.